 For the vast majority of divers, diving is not a one-time thing and over the course of your scuba diving career, you seem to look out for any suitable dive location within your reach. The call from the underwater world can be so strong and can leave you searching for new and exciting places to explore. 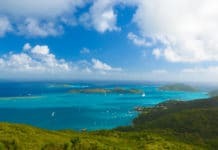 Due to this amazing connection with the marine world, you go out on boats, walk into the water from beaches and may even find artificial man-made locations, all in the name of scuba diving and to grab your next experience. Over the course of your scuba diving career, you will most likely take part in a number of shore dives. Shore diving isn’t always as easy as boat diving and even if you choose to hire a guide, the safety of yourself and your buddy/group relies on you. The schedule, plan, and route are all up to you. 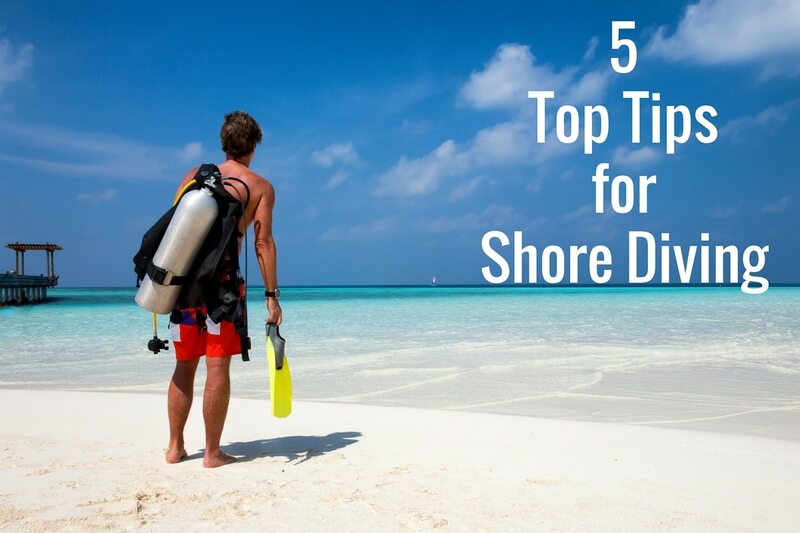 Beach entries and exits can sometimes be challenging, so in order to ensure you remain safe and prepared at all times, take a look at the following 5 top tips for shore diving, which will help you on all your future shore dives. Research, research, and research some more, well in advance of your dive. Look at aerial photos using Google Earth, read the tide and weather reports in the area. News, magazine and Internet articles are a great way of gaining as much knowledge as possible of the site. Knowing the site in every, which way possible is the best way to prepare you for any eventuality. You may need different equipment or extra equipment that you may not have realized that you would need prior to your research. 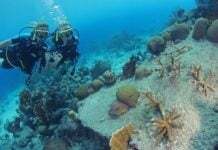 In the majority of cases, first-hand site knowledge from locals or divers who have already dived in the area may help you to determine the best entry and exit points into the water. Firstly, identify any potential hazards or risks at the site for example, are there any visible hazards within the water or on the shore? Are there any steep or uneven surfaces that may affect you once you have geared up and are walking to your entry point? Are there any obstacles blocking your entry point that may affect your safety when you start your dive? Find and plan your exact entry and exit points. Make sure you discuss this with your buddy or group so that you do not deviate from your plan. Find a suitable place to gear up. Make sure you think about where you can safely store your gear, so as to make sure you don’t accidentally drop or lose a piece of gear and consequently have to cancel your dive. Before entering the water for your dive, make sure that you identify a reference point that can easily be seen from the water. This will help you to identify quickly and easily where your entry and exit points are. It will also help if you need to surface at any point throughout your dive. Make sure that you observe the water conditions. This includes the height of the waves and how choppy the water is further out past where the waves are breaking. In some cases, shore dives may require a swim on the surface in order to get to the deeper waters, where the dive site location is. If the conditions on the surface are not good, this may mean that you will have to swim deeper. Make sure that you monitor and note down any extraneous factors that can affect the safety of your entry and exit points. Creating your dive plan will be much easier if you have completed all the points above. Always remember to plan and discuss what you will do in the event of an emergency. At some dive locations including quarries, lakes or ponds, it may be easier to assemble your gear once you are in the water. However, there are some dive sites where you need to gear up in advance. Plan in advance, which would be the safest option. Additionally, you will want to establish where and when to put on your fins. Sometimes walking down to your entry point with your fins on can be tiring and can lead to accidents, so using the water as support when putting on your fins can help, not to mention using your buddy’s shoulder. Right about now, you are just about to start your dive in the safest way possible. If you find that you go through your air in no time, it might be wise to consider taking two tanks with you, so that you can eliminate the issue of running low on air, as well as allowing you to see all that you are hoping to see. Once you have surfaced safely and have located your already established reference point. Use your compass to get an accurate heading. Depending on the conditions of the water, you may want to stay low until you reach the shoreline, in order to prevent being thrown around by choppy water. If the conditions are good, then you may want to swim back to the shore on the surface, it is your call. Once you reach the shoreline, use the support of the water to remove your fins, so that you can easily exit the water. If you need to, make sure you help your buddy with this too, to prevent any accidents. It is a great idea to log all the information that you have gained from your research and your dives, after your final dive. 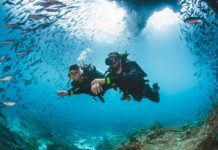 By doing this, you will have all the necessary information for any future dives that you may do at that particular dive site. It is important to remember, however, that conditions change all the time, so planning is of utmost importance every time you go to that dive site.